VietNamNet Bridge - The Mekong Connection Initiative, including the Stimson Center, the International Union for Conservation of Nature (IUCN), the Nature Conservancy and the University of California Berkeley (UCB), believes that Vietnam should become the major importer of electricity from Laos. Brian Eyler from Stimson Center said that he had met Lao government officials and raised questions about the country’s demand, purposes and plans to develop hydropower. According to the expert, hydropower projects in Laos depend completely on foreign investors. Once investors want to develop projects, the government will grant licenses. Lao doesn’t use up the electricity output generated in the country, but it exports excess electricity to neighboring countries. Thailand is one of the importers. However, the country has found that its demand is not as high as predicted. Meanwhile, imports face opposition from the public, while renewable energy projects have been applied domestically. Vietnam is now the only neighboring country which has high demand for electricity and is a potential importer. “Vietnam is the only country that could be a major market in the future for power generated in Laos. Power purchase agreements will determine which hydropower projects will be developed, and the voice of Vietnam in international energy negotiations will be more weighty,” he said. If Vietnam doesn’t import electricity from Laos, it will have to build more coal-fired thermal power plants and depend on coal imports. 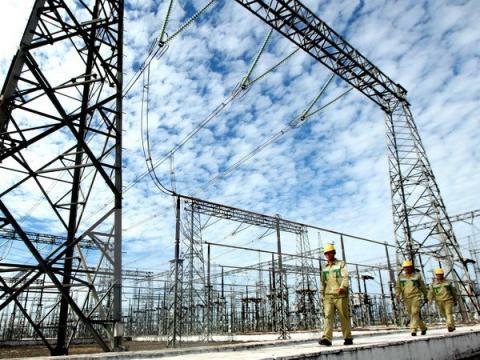 Many experts have also advised Vietnam to import electricity from Laos. They said the electricity purchases from Laos will help diversify the supply sources and allow Vietnam to ease reliance on China. Meanwhile, Vietnamese environmental experts don’t think this is a good idea. The development of thermal power projects on the Mekong upper course will bring economic benefits to Laos, but will have adverse effects on the environment and people’s livelihood on the lower course. According to Dao Trong Tu, director of the Center for Sustainable Development of Water Resources and Climate Change Adaptation, the purchase of electricity from Laos contradicts Vietnam's efforts to protect the Mekong Delta from the challenges of the upper course development and climate change. Vu Trong Hong, chair of the Vietnam Water Resources Association, said this is a ‘delicate issue’. “Vietnam doesn’t want Laos to build hydropower plants on Mekong mainstream because this will cause water shortages to Vietnam,” he said. “We should not think of buying electricity from Laos. If we do, we will encourage them to build more power plants”.